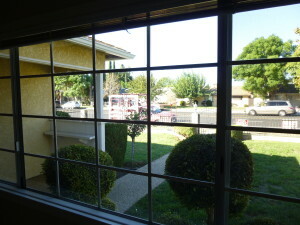 Big Windows is one of our specialties! Restaurants with big windows are fabulous in the daytime, when natural light floods the room. Think of how big windows affects large buildings, schools and homes. 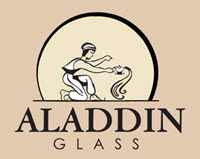 Welcome to Aladdin Glass and Mirror, your first choice for high quality Windows and Doors. Our extensive selections of cutting edge products deliver unmatched beauty and state-of-the-art performance for energy savings, reduced maintenance and a more comfortable home. You hear a lot about making your home or office more energy efficient—how it can help to reduce high energy bills, improve comfort and help to protect the environment. But what does it all mean if you’re replacing or remodeling your home’s windows, or building a new home? We take saving energy seriously. Whether you’re replacing, remodeling or building, whether you do-it-yourself or hire a qualified professional, improving energy efficiency is an important first step for homeowners interested in “going green.” Whether you’re interested in lowering cooling costs or optimizing heat gain, Aladdin Glass and Mirror has a window option to fit your needs. We can deliver a wide array of custom-made styles, decorative options, complementary trim selections and performance packages for a fully customizable solution to suit your individual needs. We have a reputation for making a Big difference – a Big difference in sales, service, installation, and products. We hold ourselves to a higher standard. We strive to take a professional approach, highly trained staff, and affordable pricing will help take the stress and confusion out of your new project. We can install Big Windows on sides of Skyscrapers or Home Windows! DO install big fixed windows on the walls that face your best views. DON’T neglect to add small windows that open above or below fixed glass. We also offer: Large Windows, Large House Windows, Replacement Windows, Commercial Windows and Doors, . Aladdin Glass and Mirror has been in business for over 40 years, and would be happy to supply you with a free quote anytime for Big windows so Call 818-885-0500 Today or visit our Contact Page.